Please complete the three forms in the center column. The two forms in the right-hand column are completed only if your child needs special medications while at school. We'll need these completed forms at the time that your child is enrolled. The forms are required by the Ohio Department of Job and Family Services (ODJFS) who is responsible for supervising the state’s child care programs. When you click on a form link, you can fill it out right on your screen, or save it off to fill out later. IF YOU HAVE A PROBLEM downloading the forms, please call us at 740-862-0425 and we will email them as Acrobat or Microsoft Word documents, or we'll provide printed versions. By regulation, we must have this 3-page form on file at the school for every child enrolled. Click on the form number above to open. Fill it out on your screen, then print the form, sign it, and return it to Rainbow Steps. 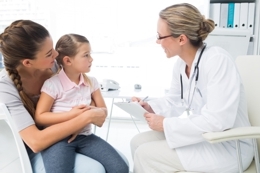 By state law, your child will need a physical exam by your doctor. The doctor's office stamp must appear on the form. Click on the title above to open it. Then print the form and take it to your doctor. After the doctor signs, return the form to Rainbow Steps. The State of Ohio asks that we get these three permissions from you for photos, parent roster, and hand sanitizer. Click under the title above to open it, fill in the blanks, print out and sign the forms. If your child has a medical condition or requires an EPI Pen or inhaler, you need to complete the two forms below. These forms are not for short term illnesses unless our staff member needs to perform a medical procedure for your child. We need this form only if your child has an ongoing health condition that requires child-specific care or that may require a medical procedure prescribed by your doctor. Click on the form number above to open it. 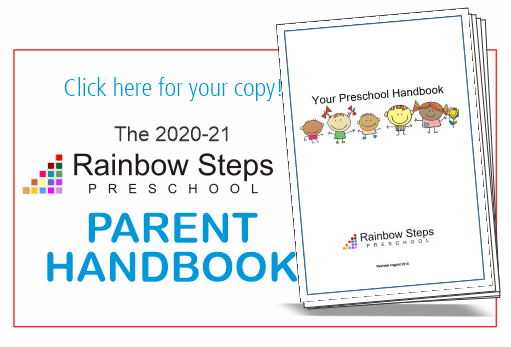 Fill out the form, print it, sign it, and return the form to Rainbow Steps. This form is required only if your child may need an EPI Pen or inhaler administered by a teacher, and only after medication is prescribed by your doctor. Click on the form number above to open it. Then print the form and take it to your doctor. After you and the doctor sign, return the form to Rainbow Steps.